LXQt, the latest Qt 5.0 based LXDE Desktop, released its version 0.80 with more updates, fixes, performance increase tweaks and qt themes. The new release includes new themes, support for reordering panel items and a set of basic admin tools to tweak the system. The release happened after 5 months from 0.70 version. The PCManFM-Qt file manager adds single-click opening, desktop drag & drop, Ark archive manager integration and makes minor tweaks to the “icon view” layout of files. LXQt is the classic desktop with modern Look and Feel with performance focused shell. The Latest LXQt is completely compatible with Qt5. This modern desktop is suited for lighter systems that suffer performance problems of other shells like unity, gnome shel etc. The Lubuntu PPA includes all of the required packages for LXQt, including a meta-package to simplify installation. 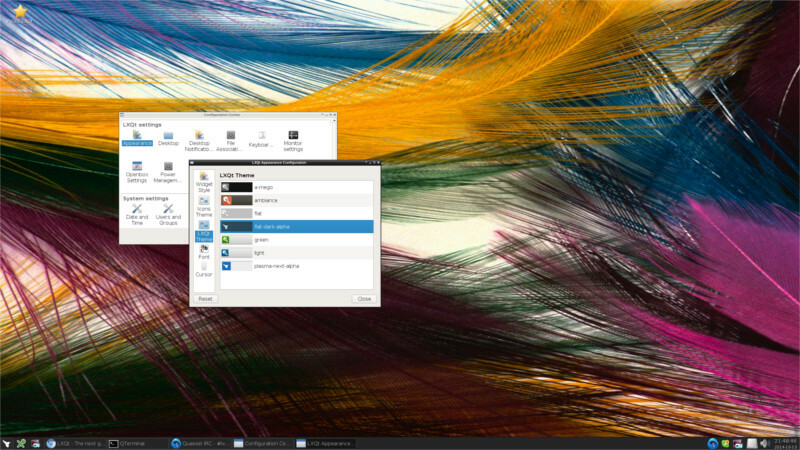 Just like other desktops, LXQt can be installed alongside Unity, GNOME, etc., but also the GTK+ version of LXDE. Open terminal (Ctrl+Alt+T) and paste the commands below. Even though the desktop is stable but expect some bugs and lack of common productivity tools of a desktop. But its fast and modern. 1. Install the needed utilities to download the repo and save. wget is a command utility to download a file from web. 2. Add the Fedora repo into system by download the file and save it in repos folder. 3. This will remove current LXDE desktop from your system (be carefull to take necessary backups). The following commands will install the Latest LXQt desktop into Open SUSE. 1.download latest repo for LXQt 0.7.0 on your OpenSUSE system. 2.Remove current LXDE Environment from OpenSUSE. Carefull about backups. 3. Add the recently downloaded repo into the system. 4.Install the Latest LXQt desktop with its all dependencies. These are the commands. Latest LXQt is much more fast and usefull for a production environment. It uses less memory of the system compared to other desktop environments in linux.